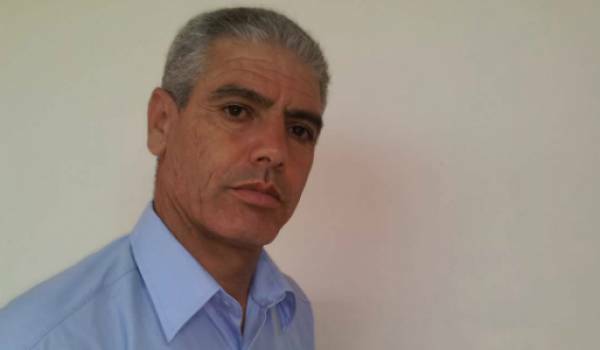 49 year-old Slimane Bouhafs blogs in support of religious minorities in Algeria. On 6 September, an appeal court in the eastern Algerian city of Setif confirmed  the conviction of activist Slimane Bouhafs for insulting Islam and prophet Muhammad on Facebook, while decreasing his jail sentence from five to three years. On 7 August, a primary court sentenced him to five years in jail and a fine of 100,000 Algerian dinars (approximately US $900) for “offending the Prophet” and “denigrating the creed and precepts of Islam” under article 144 bis 2 of Algeria’s Penal Code. On appeal, the court of Appeals of Setif maintained his conviction, reduced his jail sentence to three years and dropped the fine. Bouhafs, a Christian convert, and activist with the St. Augustine Coordination of Christians in Algeria which supports the rights of religious minorities in the country, regularly posts about the situation of Algeria's Christian minority on Facebook , his Google+  profile and personal blog . According to Amnesty International, he is also a supporter of the Movement for Self-Determination of Kabylia (MAK), an autonomous political group  seeking autonomy for the region of Kabylia. The link  to the Facebook post for which Bouhfsa reportedly went to jail currently shows no Charlie Hebdo cartoon. However, the same post along with the cartoon still appears  on his blog. Amnesty International  and Human Rights Watch  both slammed Bouhafs’ arrest and conviction. The Algerian League for Human Rights (which appointed its lawyers to defend Bouhafs’ appeal) condemned  the sentence for violating the Algerian constitution and international human rights standards, and called on the authorities to amend article 144 of the Penal Code which criminalizes insults to religion and state symbols. Algerian authorities repeatedly use this article to silence those who criticize the state or religion. Journalist Mohamed Tamalt is currently serving  two years in jail for criticizing the country's president Abdelaziz Bouteflika in a poem he published on Facebook.